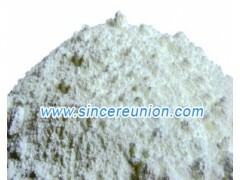 Properties : White powder,stable under normal temperature, good hiding power and colouring power.Insoluble in water and alcohol ,soluble in acid ,alkali and amkonium solution. Storage : Store at a cool and dry place. Packing : 25Kg woven bags lined with plastic bag(special packing can be made according to clients' requirement).